For optimum performance we do not recommend storing LEVERevolution ammunition in tubular magazines for extended periods as this can result in tip deformation. Up to 250 feet per second faster muzzle velocity than conventional lever gun loads Exceptional accuracy and overwhelming downrange terminal performance. Patented FTX bullet featuring Flex Tip Technology. Up to 40% more energy than traditional flat point loads. 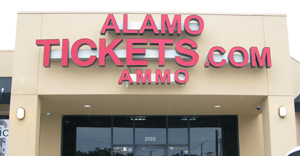 Alamo Ammo is local to San Antonio and will ship 45-70 Govt Hornady LEVERevolution 325gr FTX 20ct within the US. Local Ammo Sales can be picked up at the office and get great discounts on 45-70 Govt Hornady LEVERevolution 325gr FTX 20ct as well as saving on shipping.